Baseball is a sport that relies heavily upon history. Managers make decisions about pitchers, hitters, runners, etc. based upon historical statistics. 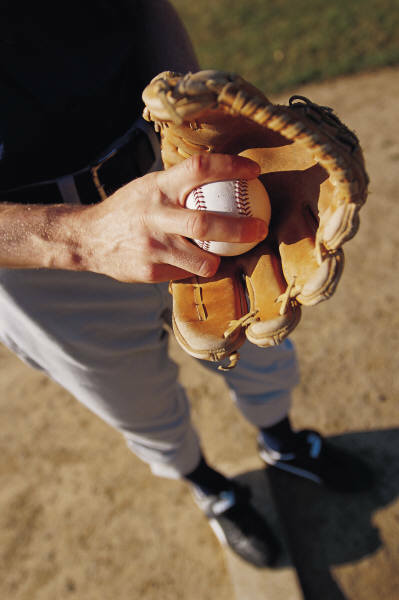 If a certain batter has a lower batting average against a left or right-handed pitcher, the manager may make a pitching change. The batter may still hit a homerun, but statistically it’s less likely. Much like baseball, leading economic indicators are based upon the premise that economic history will repeat itself. Leading economic indicators are various statistics or observations that are intended to give an indication of the future direction of the economy. As written in a previous article, they can be a nationally publicized economic statistic or someone’s instinct of what’s coming next. Ben Bernanke, the current Federal Reserve Chairman, is considered to be a leading authority of the Great Depression. He has dedicated a lot of his career studying the causes and remedial measures of the Great Depression. His intent… to learn from history and avoid making similar mistakes. The assumption is that economic output will react the same way to similar measures. As a simple example, raising the discount rate will slow the economy and curtail inflation, and lowering the rate will encourage lending and growth. The same principle was the basis for passing the $787 billion Stimulus Bill in February 2009. The premise goes all the way back to President Roosevelt’s plan for ending the Great Depression with the passage of the New Deal. The ultimate effect of the New Deal and the Stimulus Bill will be debated for years, but the assumption is that if it worked in the past, it will work again. This theory influences the way economists, investors, politicians and policy-makers approach the economy. The historical economic results of certain changes in economic indicators form the basis for how they make current decisions. The difficulty arises when the economy reacts differently. Economic conditions are as unique and unpredictable as people. Although statistics may point a certain reaction, the economy doesn’t always function as expected. Oil prices are a great example of this. When oil prices spiked in the early 1970’s and 1980’s the economic effects were staggering. The economy fell into a great recession and inflation took off. From the beginning of 2007 to the middle of 2008, oil went from $61 per barrel to over $140, a 130% increase. Although people grumbled and businesses scrambled, the economy didn’t fall into a great recession. A major recession started in the third quarter of 2008, but it was more a result of imploding real estate and financial markets, than the price of oil. In this case, history didn’t repeat itself. Yes… oil prices may have been a contributing factor, but I don’t believe it was the primary cause, like it was in the 70’s and 80’s. I’m not suggesting that there is no value to leading economic indicators, but their utility in predicting future economic results is limited. To the extent you study economic indicators and listen to pundits espouse their opinions of the implications of economic measures, keep this one principle in mind – leading economic indicators assume history will repeat itself, but the economy is like people… it is unpredictable.